Please contact our Sales team on 01400 275710 with any enquiries. 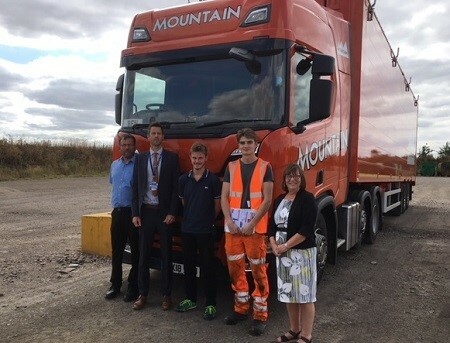 Recycling and waste management firm, Mid-UK Recycling Ltd, has launched an apprenticeship scheme as part of a long-term partnership with Lincoln College. The scheme will offer people the chance to receive on-the-job training while working for Mid-UK Recycling at its Grantham and Sleaford based facilities, alongside undertaking an official qualification at Lincoln College. Opportunities will include working in accounting, engineering and the automotive sector. Mid UK has waste processing sites near Grantham and Sleaford as well as a composting facility, a skip hire department (Mountain Skip Hire) and a transport department (Mountain Transport).